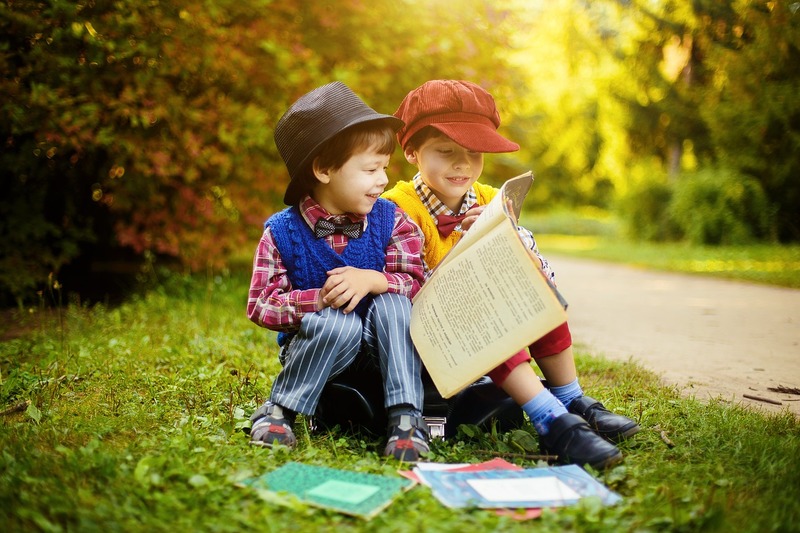 Many wonderful memories can be made with your little ones while enjoying a good book. Take a moment and think back to your childhood. What role did books play? I still have memories of special books and their storylines have shaped so much for me as an adult. Whether the characters were funny, the words rhymed, or the story brought tears to my eyes, the power of books have influenced me greatly. In fact, books have not lost their power in my life even as an adult. Hopefully, you will enjoy our list of the best children’s books and find some treasures for your children to enjoy. The National Center for Education Statistics is a division of the U.S. Department of Education. They point some interesting statistics about reading to your children. In their research, they have found that children who are read to enjoy a substantial advantage over children who are not.” In fact, they found that twenty-six percent of young children who were read to three or four times in the last week were able to recognize all the letters of the alphabet. So, whether you are looking to grow your home library of the best children’s books or you are looking for a gift for a baby or child you love, our list will give you some great ideas for your next favorite book purchase. Pout Pout Fish Your babies will enjoy the beautiful bright colors and the lyrical rhymes of this book where the lead fish learns that being glum and spreading his “dreary wearies” is not his purpose in life. This fun fish story will be a great addition to your reading time with your little one. Plus, The Pout-Pout Fish is a 2009 Bank Street – Best Children’s Book of the Year. On the Night You Were Born This incredible touching book is a wonderful story to start reading to your baby and continue until much older years. Even adults love this one! Deservingly, this book is a New York Times and Publishers Weekly bestselling book. My little one loves to hear about when he was born and this book is a great way to share that special story again and again. Goodnight Moon This classic board book is a wonderful bedtime story where a bunny tells everyone and everything around him good night. This children’s literature classic is beloved by generations of readers. The poetic words and lulling illustrations make it a wonderful book for bedtime. As your baby grows into a toddler, this little board book fits perfectly in their growing little hands. Little Green Frog This sweet lift-a-flap board book is about a little green frog and all the animals who live around the pond. The simple sentences will reinforce future language structure. Your little one’s eyes will enjoy all the illustrated details that will surely hold your baby’s attention. Babies Hug-A-Bible introduces very young ones to the great stories of the Bible in hopes to convey God’s great love for them. This book is exactly what its title says: a Bible your baby can hug! It is a soft and cuddly book that present a lovely collection of ten of your favorite Bible stories. The rhymes are filled with the important truths told through scripture. This is a perfect way to keep God’s Word near to your baby’s heart from very early in life. Biscuit This little doggie has given generations of boys and girls to the joy of reading. Little Blue Truck A muddy road is no match for this little blue truck who says, “Beep! Beep! Beep!” One day he gets stuck while trying to be a helper to a not-so-friendly dump truck. See how Blue shows us that community and friends matter as his farm animal friends pitch in to help save the day. This little book is not only full of different truck sounds and plenty of animal noises but also shows the little readers the incredible power of friendship. Be sure to check the other books where Little Blue goes on different adventures. Chicka Chicka Boom Boom What happens when every single letter of the alphabet rushes to the trunk of a tree? This unique rhythmic writing keeps the beat that is filled with bold and colorful artwork. Your little ones will be quoting these words and begging to read it again and again. Pete The Cat This fun cat gets to go on so many different journeys. Young ones love the stories and new readers will enjoy Pete’s exciting adventures as they build reading skills. Check the many books that involve the beloved Pete, where reading is made so fun! Llama Llama Children and parents love this little Llama character. He goes through things we all do like learning to share, getting ready at bedtime, home sick from school, or simply missing his mommy. This set includes these seven titles: Llama Llama Red Pajama, Llama Llama Misses Mama, Llama Llama and the Bully Goat, Llama Llama Time to Share, Llama Llama Holiday Drama, Llama Llama Home With Mama, Llama Llama Mad at Mama. The Very Hungry Caterpillar Chances are you have come across this all-time classic picture book that tells a story of the hungriest caterpillar that has ever existed. Each generation has enjoyed reading this cute story to their little ones. The colors are vibrant and the story is classic. We all know that caterpillars do not stay caterpillars. This board book edition includes a unique feature, dye cuts, teaches the days of the week, and gives little readers a fun and interactive experience. Brown Bear Brown Bear, What Do You See? Where else can you find a happy frog, a strangely purple cat, a blue horse, and a yellow duck all in the same place? This beautifully written book of singsong phrases makes these animals come alive as you read aloud. Children will love the bold colors that portray each animal and what they see on each page. Dr. Seuss There are no other books like those of Dr. Seuss. The silly phrases and rhymes are unmatched and meant to be read aloud. No matter the occasion, this set would be appreciated by children and parents alike. This specific collection includes five beloved beginner books: The Cat in the Hat, One Fish Two Fish Red Fish Blue Fish, Green Eggs and Ham, Hop on Pop, and Fox in Socks. Skip to the Loo! A Potty Book Potty training is inevitable. Why not have a laugh or two about it? Sally Lloyd-Jones writes a rhythmic narration that shows that every single person and animal must respond to the call of nature. Characters like a lonely dodo to the Lord and Lady Huff Puff must skip to the loo at some point. Even elephants in tutus can’t miss out. The Jesus Storybook Bible Gift Edition: Every Story Whispers His Name Perhaps you are looking for a book with significant meaning. This storybook will fit the bill perfectly. The bestselling The Jesus Storybook Bible is written by Sally Lloyd-Jones and illustrated by Jago. This special edition is the beautiful clothbound gift edition that includes a ribbon marker. Each story within The Jesus Storybook Bible tells the Story beneath all the stories of the Bible. From creation to Noah to Moses to the great King David, every story is written to point to Jesus. This Storybook is a great keepsake that is not only enjoyed by young toddlers but also by older children, and adults alike. A children’s Bible like no other, The Jesus Storybook Bible is full of adventure and allows kids to discover for themselves that Jesus is at the center of not only God’s great story of salvation, but also at the center of their story as well. You will surely not be disappointed by this purchase for your family library! Caps for Sale This timeless classic is loved by millions of young readers and is full of humor and problem-solving skills. In fact, it is one of the most popular picture books ever published! Children love following the peddler’s efforts to outwit the silly monkeys. No doubt your kids will ask to read it over and over again. It is an excellent easy-to-read book for early readers that includes repetition, colors, and patterns. Be sure to check the next book called, More Caps for Sale. When God Made You This meaningful book will help show your children their place in the world. In a beautiful way, it will show them to embrace personalities, talents, and traits. They will know that they are deeply loved and unique in this big world. Your kids need to hear these words in When God Made You. They will be inspired as they learn about their own special gifts and God’s divine plan for them. The playful rhymes and beautiful and vivid illustrations make this story memorable and meaningful. The Velveteen Rabbit Most children can relate to this classic story of their special toy that they love more than all the rest. The one that they sleep with and take everywhere. Perhaps this is why The Velveteen Rabbit has been a beloved story for generations. This once brand-new toy becomes very worn and discarded but the velveteen rabbit is magically saved by a magic fairy and sent to a wonderful life as a real rabbit in Rabbitland. This timeless story touches each child’s heart and will continue to for many more generations. This deluxe gift edition is a beautifully designed keepsake. The artwork has been remastered from the 1922 first edition. You can cherish this special edition with the beautiful cloth cover and stamped golden accents. This specific edition of this classic book would be a wonderful gift for any special occasion. Charlotte’s Web It seems it might be impossible to get through childhood without experiencing this award-winning beloved book. Charlotte’s is a lovely, motherly spider who loves a pig named Wilbur. This lovely novel of friendship, life, and even death will continue to be enjoyed by each generation for years to come. This title is one of America’s top 100 most-loved novels. Don’t miss out on a book that will spark many meaningful conversations with your little ones. Each Kindness This unforgettable book has a powerful anti-bullying message shown not only through the words but also the artwork. The story will resonate with your readers long after they have finished reading it. Chloe and her friends decide they do not want to play with a new girl named Maya. Eventually Maya no longer goes to school. Chloe’s teacher gives a lasting lesson about how even the smallest acts of kindness can change the world. Chloe is affected by the lost opportunity to be a friend to Maya. What would have happened had she shown just one small act of kindness to Maya? What is the ripple effect of each kindness that is shown? Nancy Drew Starter Set This set is the perfect gift for your aspiring detectives. The first five books with updated design are packaged together as set to be enjoyed by your big kids. The included titles included are #1 The Secret of the Old Clock, #2 The Hidden Staircase, #3 The Bungalow Mystery, #4 The Mystery at Lilac Inn, and #5 The Secret of Shadow Ranch. Your children will be captivated and want to move through the series quickly. A Step from Heaven Your big kids to middle schoolers will fall in love with this story told about a young Korean girl who tells about her firsthand account of trying to navigate life in America. You get to watch her grow up in two cultures. The writer gives insight into this young girl’s life through creative writing from a child’s perspective. The language used is extremely creative and brings the story to life. America is not what she imagined it to be and she has to learn to adapt while being in a Korean household. Your big kids will not be disappointed with the cleverly written book. A Long Walk to Water This New York Times bestseller starts out as two different stories about two eleven-year-olds in Sudan. One story is about a girl in 2008 and the other is about a boy in 1985. The girl fetches water from a pond. It takes her two hours to walk there from her home and she must go twice a day every day. The boy becomes one of the “lost boys” of Sudan. These two endure many different types of hardship from loneliness to being attacked by rebels. The boy is a real survivor and in the end his story goes on to intersect with the girl’s story in a unique and meaningful way. There are so many lessons to learn from this incredible book. Reading is a foundation to education. It helps children see and hear sounds. Reading to children helps them learn sentence structure and how to sound out words. But, taking the time to read with a child does so much more. It gives them gift of imagination and stepping into a world that is not their own. They fall in love with these characters and worlds. They dream for themselves and their futures. Reading to your children is an incredible gift that will only keep giving throughout their lives. Happy reading!